AGAINST THE PASSAGE OF THE PIAVEJust as American troops in France helped the Allies stem the German tide at the Marne, so the Americans in Italy aided the Italians in repulsing the Austrians at the Piave River. Member of the 332nd Inf. 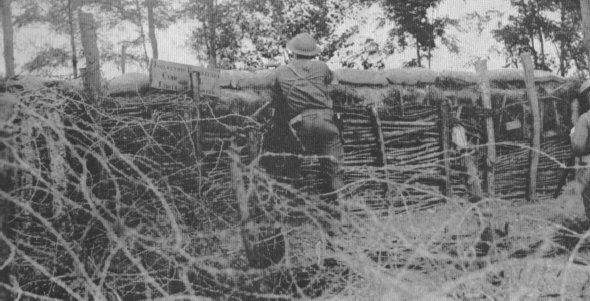 firing from a trench. BOMBING THE AUSTRIAN LINES332nd. Inf., 83rd Div., lobbing hand grenades in Austrian positions near 2nd Bn. headquarters, near Varago, Italy, Sept. 16, 1918. 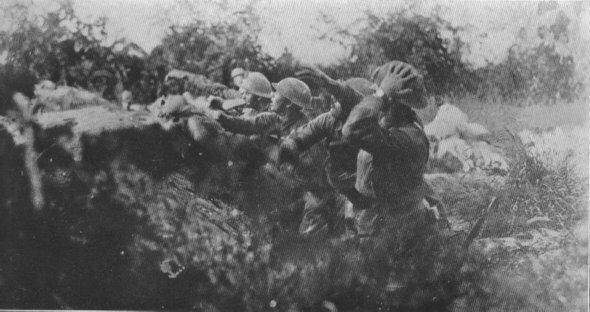 Troops of leading Allied nations operated on Italian front as well as western front in France.